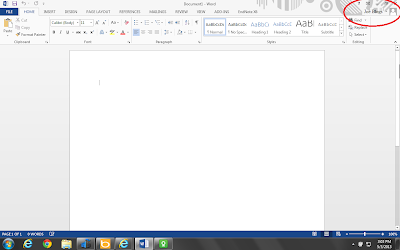 Microsoft SkyDrive: What is it? 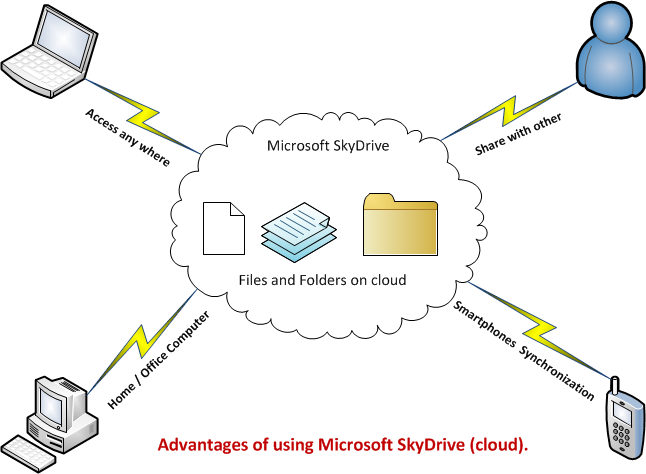 SkyDrive is a Microsoft SkyDrive file hosting services that allow users to upload and synchronize files to the cloud. 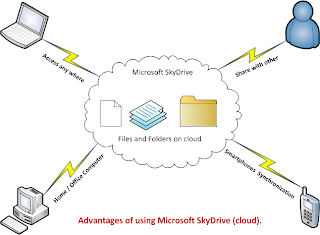 It means that the files can be stored and retrieved from Microsoft SkyDrive cloud, instead on local computer drives. For example the following figure.1 shows the general concept of cloud storage. Files stored in the cloud has the following advantages. Availability: Even, if your computer is damaged or your hard drives dies you don’t need to worry, because the files stored on cloud are in safe hands. Access anywhere anytime: If you are in the office, out of the office, in meeting or at home etc. You don’t need to carry all important files in printed form or in soft form on storage device like USB Flash drive. The file can be accessed everywhere where internet is available. Synchronized your files: You can synchronize your files with your laptop an desktop and acess them on your smartphone and Tablet. Minor or major updates to a file can be saved without any inconsistency. Easy Sharing: The file can be shared with a number of users. 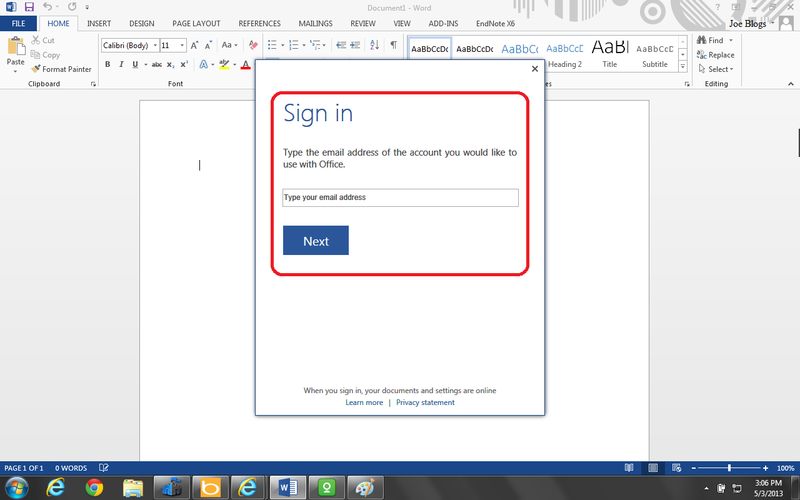 Just create a link of your file and shared these links by email, with Microsoft Skype or with social networking sites. 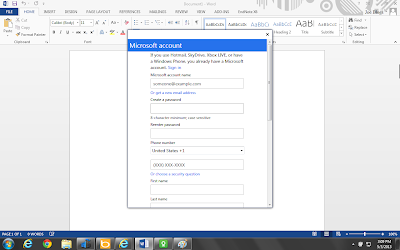 Microsoft SkyDrive registration and login: How to do it? The Word 2013 interface is consists of different components, some of them are highlighted and shown below. The red highlighted options are the menu, the yellow highlighted rectangle are called tool-box, the blue rectangle area is your working space for typing your documents. The green highlighted rectangle shows if you are logged in or not so you can access Skydrive. 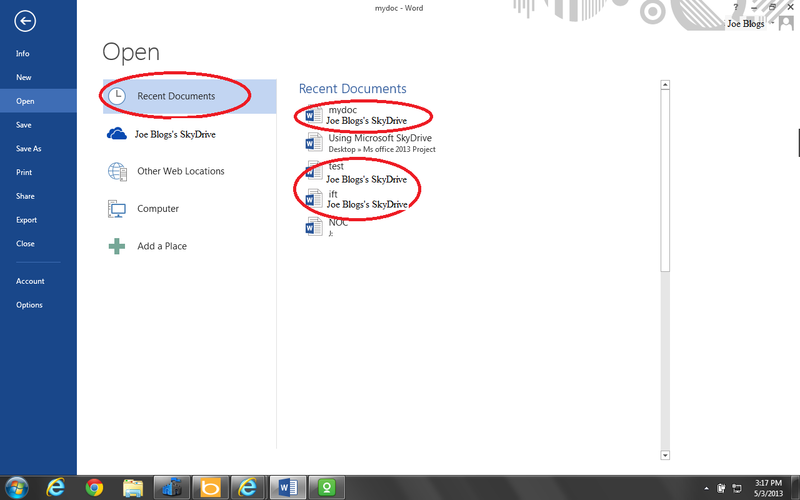 Step 2: If you are already loged in your name will appear as shown in the following window (Its Joe Blogs in my case). If you are new user, then follow step 4. 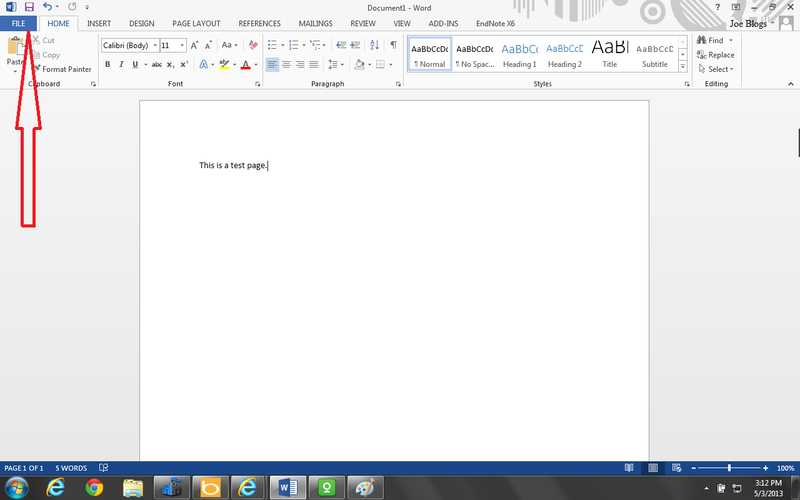 Step 3: Click on the top right corner as shown in the following snapshot. It will appear a small window that shows your login name (if already login) with some other information about your profile. By clicking “Switch User” option a user can change SkyDrive user. Step 4: If you are not logged in, then by clicking the top right corner option as shown above. A window as like below. If you are already registered user, then type your email address in the text box. 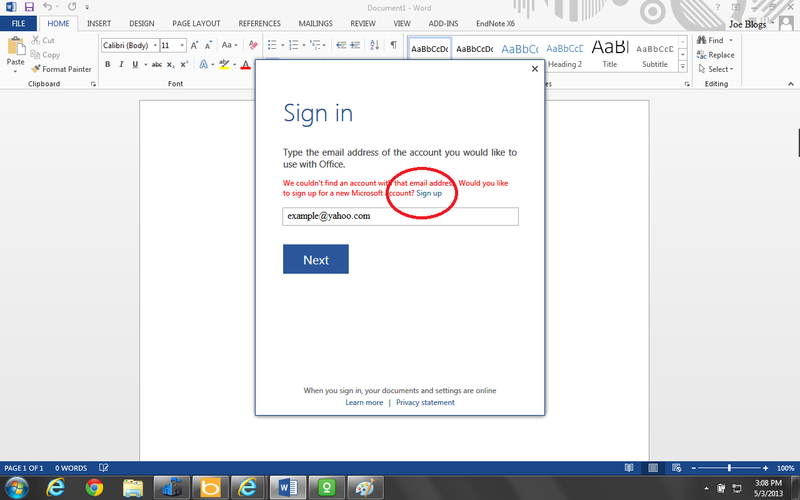 If your email is not registered with Microsoft SkyDrive cloud, then it will appear an option “Sign Up”. Step 5: Click on “Sign Up” option. 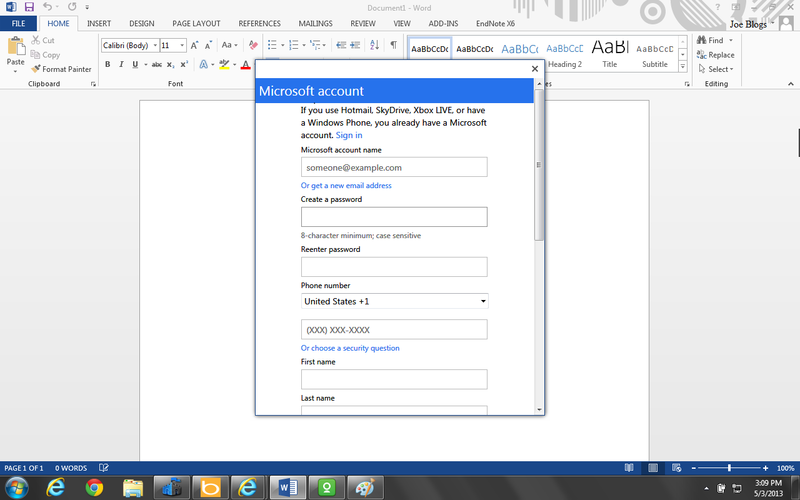 A Microsoft account form as shown. 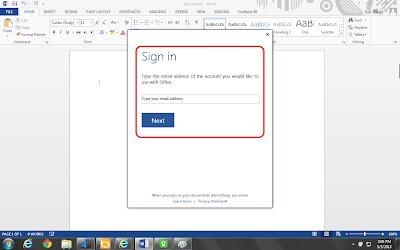 Fill out the Microsoft account form by providing your email address and the other necessary information. The submission of this form will register your email address with Microsoft SkyDrive cloud. 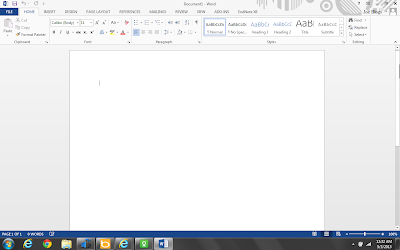 Look it to the top right corner of your MS Word interface. 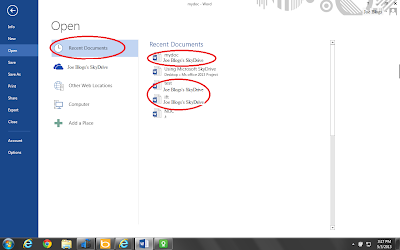 If your name appeared on the screen, then you are a valid user of Microsoft SkyDrive cloud system. 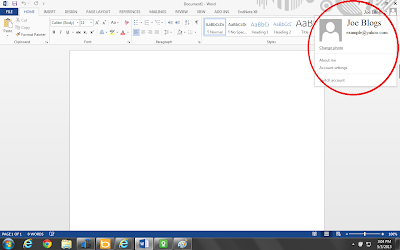 Saving you documents on SkyDrive: How to do it? 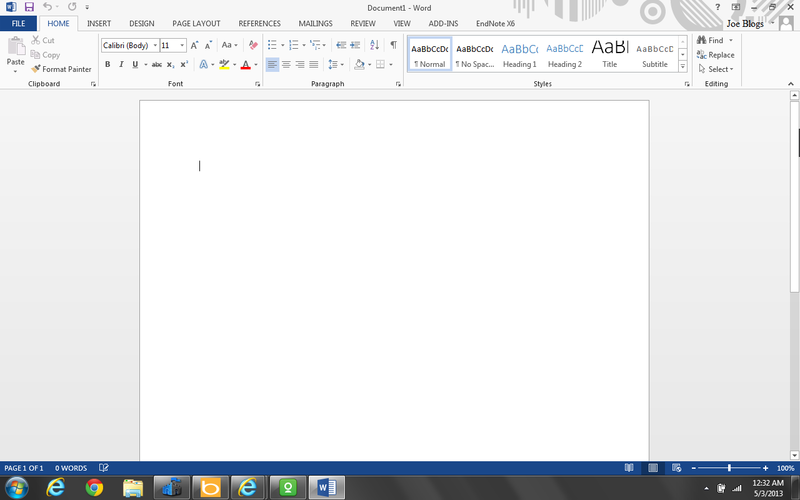 Step 1: Type something you want to store on SkyDrive. Then click on “File” menu. Step 2: Click on “Save/ Save as” button appeared on the screen. This will show four options for saving your document, for example you can store on SkyDrive, Other Web Locations, Computer (normally your local computer Hard Disk), and “Add a place” of your own choice. 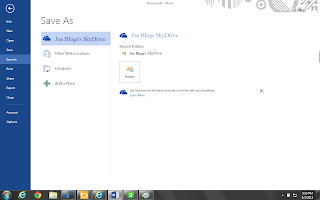 Step 3: As we want to store to SkyDrive, click on “SkyDrive” option and the click on “Browse” button appeared on the right side of SkyDrive option. I have already stored two word documents. The three folders are created by default for you. Step 4: Give a name to your document and click on “Save” button just as you would if you were saving to your local documents. 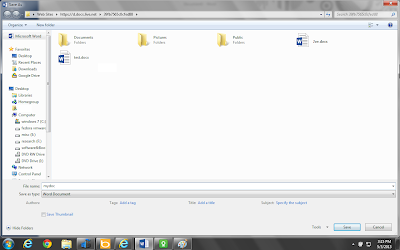 Opening file from Microsoft SkyDrive: How to do it? 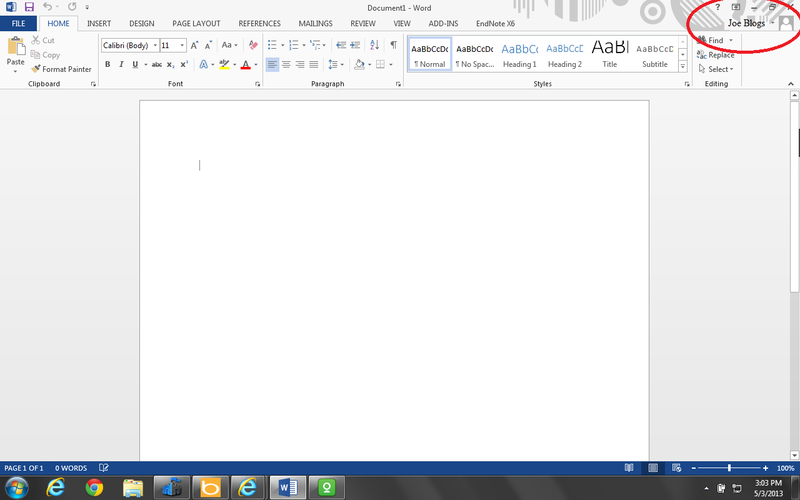 Step 1: Open MS Word 2013, and click on “File” menu. Step 2: Click on “Open” option on appeared on “File” menu. A window will appear as shown in the following figure 15. 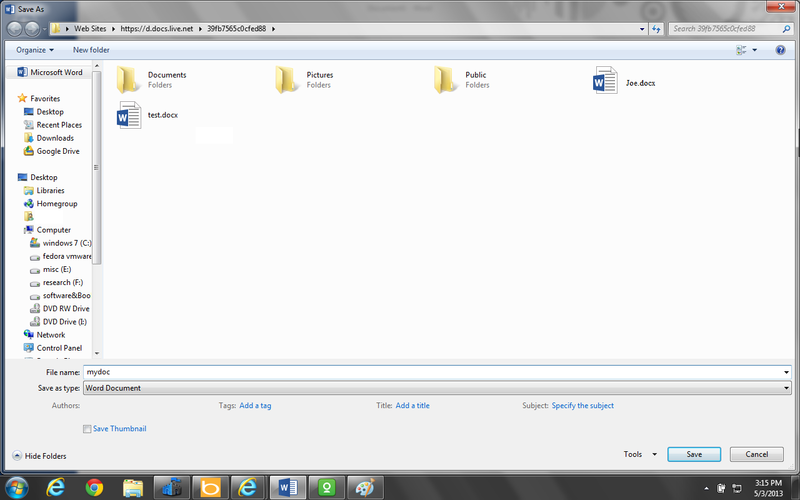 We can see that I have already stored three highlighted documents on SkyDrive. The location of the file is clearly visible under file name. You can choose “Recent Documents” or “SkyDrive. 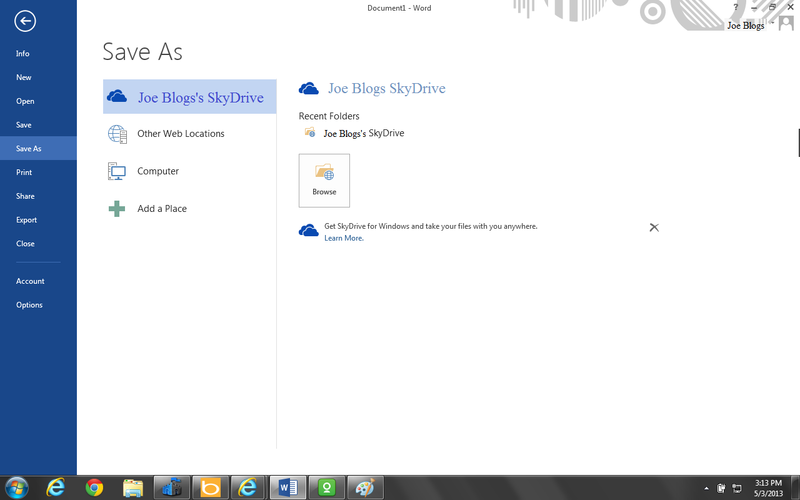 Step 4: Click on “Browse” option on the right side of your own SkyDrive (Joe Blogs’s SkyDrive in my case). 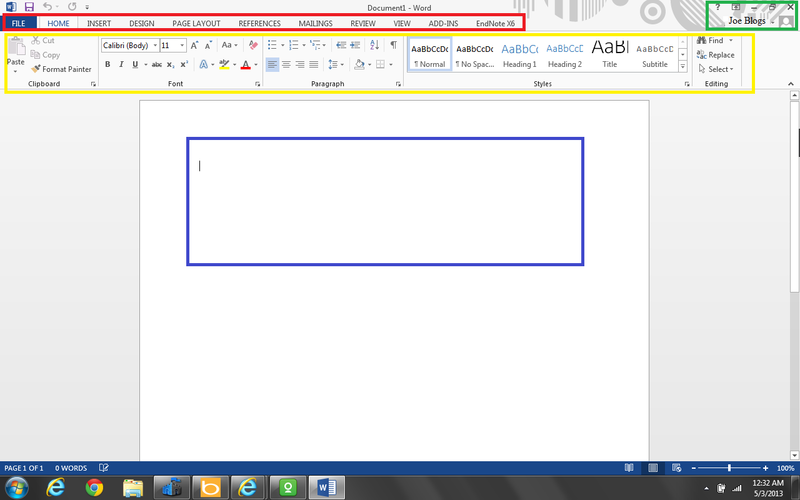 Step 5: Select the file you want to open and click on “Open” button.